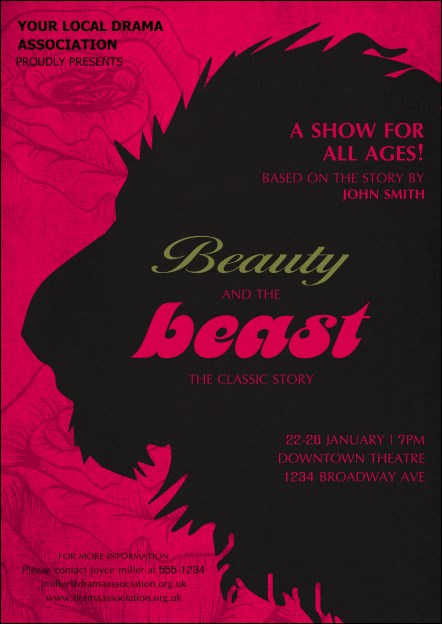 Ease your advertising woes for any size event when you use the Beauty & the Beast Postcard! With a beast in profile on a field of eye-popping pink, this reminder of the bookish young woman and her cursed prince offers attention-grabbing design and eighteen lines of type. Send the right postcard when you shop UK Ticket Printing.